Good looking people from Sapporo go to Meer Lounge. No, really. Everyone here is so trendy and beautiful, even the staff. 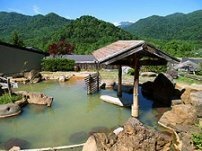 And the staff are very friendly and speak a little English, but if you want to practice some Japanese that is also good. Some of my friends are regulars here and come during the week after work and sit at the bar talking to the staff until the early hours. It seems that they don’t really have a closing time as they shut the doors when the last customer leaves. My friend stayed until 5am one time. This seems to be a common occurrence in bars in Sapporo. The bar is located underground in Tanukikoji shopping arcade between Odori and Susukino, so is very easy to get to. On ground level, it is quite easy to miss the entrance, but once you find it and go down the stairs, the bar opens up into an underground cave-like lounge. It kind of reminds me of the Doctor Who phone booth where there is a tiny exterior, then a huge inside. The interior has a very relaxed atmosphere with ambient lighting and comfortable sofas. Meer Lounge is also a sister bar of Grabstri, a cheap restaurant good restaurant , in Kitanijuyojo so you’ll definitely recognize the similarities in design. Meer lounge is one of those hidden gems that I really shouldn’t be telling you about, but I just can’t help myself, so shhhhhhhh. Keep it a secret. After living in Sapporo for a while, you always try to find new places where foreigners don’t go so often and where you can meet Japanese people. This is one of those places. The best time to come here is during their birthday party in the summer. It's a great opportunity to meet cute Japanese girls or good looking boys. At this time, they clear out some bar stools and tables and make a dance floor in the main area, set up a DJ booth and get some DJs to spin all night. The place starts to fill up around 11pm, so I advise going around this time. On this special night they serve free food by the bar, consisting of finger food like mini pancake rolls, fried chicken and usually they have a big bowl of stew. And tequila shots are 100 yen a pop, so as you can imagine, it gets very messy later on. There is a huge barrel of sake (rice based Japanese alcohol) in the middle of the dance floor and at midnight there is a countdown and then someone smashes the lid of the barrel. The sake is then passed around in a wooden spoon (see above) until it is finished. The party really starts to get going as everyone is drunk on tequila and sake (not a good combination). Guaranteed, at least one of the staff members gets completely naked. Good looking People spill out upstairs into the shopping arcade, drinking and partying until the last man standing. One year the party went on until 1pm the next day. This is one event of the year, you should definitely pencil into your schedule. 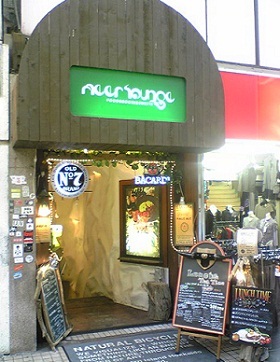 Meer Lounge is located down Tanuki koji, (a shopping arcade that runs East to West), in block 2.